Cabbage is a great food to make all year round. There are many different dishes that feature a vast array of uses for cabbage. Cabbage comes in several kinds and they all add their own aesthetic appeal to dishes. There is purple and green cabbage. They can be seen and purchased from local grocery stores. Cabbage is used in things like Cole Slaw and even in Asian cuisine. Egg rolls are usually stuffed with cabbage and a meat. Cabbage can be eaten cooked or raw. If you are making cabbage as a min side dish it can be served with just about any meat. Sausage, Beef Ribs, Chicken or even Fish go well with cabbage. This veggie is a bit hit in Southern American Cuisine. It can be prepared with smoked turkey for added flavor and volume. 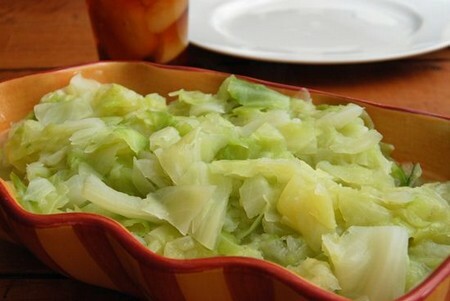 This recipe is for a German cabbage dish called Rotkhol. The English adapted the dish and renamed it Suffolk Red Cabbage. In this dish the cabbage is served with goose, game, duck or sausage. The vinegar added in the recipe helps the cabbage to retain the beautiful deep purple color. It looks gorgeous plated up. Here is how you can make cabbage. Continue reading for more information. First, strip off the first layer of leaves from the red cabbage. 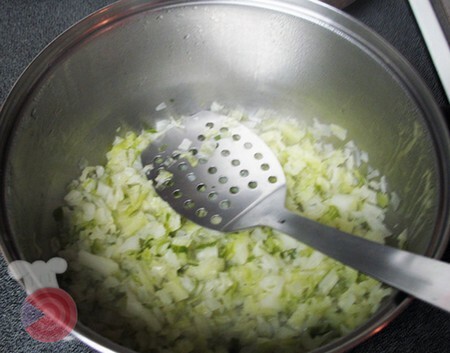 Use a sharp knife to cut the cabbage into quarters. Slice vertically. Take out the core. Now cut the cabbage into fine parts. You can use a grate to shred it. It should yield about nine cups of raw cabbage. Turn the oven on to 325 degrees. Allow it to preheat. Combine salt, caraway seeds, butter, sugar, vinegar and water in the Pyrex baking dish. Bring the combination to a full boil on your stove top. Put the onions to the boiling mix. Stir. Then put in the cabbage. Stir to cover all the cabbage with the ingredients in the pot. Let it come to a complete boil again. Cover the cabbage with a top and put the entire dish in the oven. Braise the cabbage for two hours. Take the top off the dish. Be very careful because the dish is hot and may let off some steam. Add the apple that has been cored, peeled, chopped and shredded. Add the red currant jelly to the hot cabbage. Put the top back on and braise for another half an hour in the oven.